How can you lead a happier and more meaningful life? We asked professors from Psychology, Film Studies, Economics, Theatre, and Philosophy to share insights from their field. 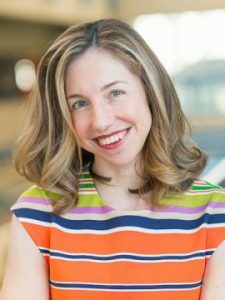 Elizabeth Dunn conducts experimental research examining how time, money and technology shape human happiness. Most happiness researchers, including me, would say that the most important thing you can do to be happy is to work on your social relationships. There’s a classic study suggesting that having good social relationships seems to be the only thing that’s actually necessary for happiness. You can be rich or poor and be happy. You can exercise a lot or be a couch potato and be happy. But without good social relationships, it’s very unlikely that you will become very happy. It seems to be a necessary precondition for happiness in humans. Our lab has tried to expand social psychology’s social circle by looking at the more peripheral members of our social networks – the bit players of our everyday lives. Maybe the barista you see everyday when you get your coffee, or the guy at the dog park you chat with when you walk your dog. We’ve shown that these seemingly trivial social interactions can also make a difference for people’s day-to-day well being. In one study, we recruited people on their way into a Starbucks in downtown Vancouver and assigned them either to be efficient or social. In the efficient condition we told them to try to get in and get out with their coffee. In the social condition we asked them to have a social interaction with the cashier – smile, make eye contact, chat. What we found is that after leaving Starbucks, the people who were instructed to be social felt happier, and felt a greater sense of belonging in their community than those who were instructed to be efficient. Now obviously that little fleeting interaction isn’t going to leave people happier forever, and it certainly doesn’t replace close social relationships. But taking advantage of these little social snacks throughout the day can at least contribute to our happiness and help to round out our social diet. 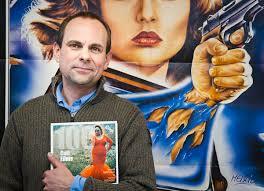 Ernest Mathijs heads the Centre for Cinema and Media Studies and has published several books on cult films. Happiness is rare. Digital and social media hype it, only comedy reaches it. And laughter is the key. This is best shown in the work of comedians. Aristophanes, Dante Alighieri (and yes I named my son after him – and after Joe Dante, who directed Gremlins), Charlie Chaplin, Buster Keaton, Louis de Funes, Monty Python, Takeshi Kitano, Urbanus, Robin Williams, Just for Laughs, and Tape Face. They do not just make you smile. They make your shoulders shudder. And that is the essence of happiness. One that in the performance arts, where one puts one’s body on the line (on stage, on set, on the street) perhaps has more meaning than elsewhere. It is one’s body that experiences happiness most directly. The nerves and the brain and the heart too – for sure – but it is first and foremost, a tactile experience… Ask Sam Wills. True, some of this happiness is silly. The best example of this are reaction shots. By this I mean the reaction of – for instance – a jury on a reality show where someone screws up so badly one cannot help but burst out in laughter. Or a reaction when you’re pointed to the candid camera. But, more than that, it refers to a sense of community. It is like hugging. It establishes a sense of connecting. Has anyone noticed how much happiness appears in a room once someone starts laughing? Laughter creates happiness. In the arts more than anywhere else. It is a relief, not just a release from daily pressure. It expresses itself as a form of bodily exercise. Happiness is not a silent joy. It is an exercise of moments, some stupid, some smart. It is not mindfulness – it is exuberance. John Helliwell is editor of the World Happiness Report – a landmark survey of the state of global happiness. Other factors, like average incomes and unemployment rates, do not differ between the happiest and least happy neighbourhoods. The happier communities have, on average, lower commute times, and fewer people who spend more than 30 per cent of their income on housing. On average, people living in cities have significantly lower life satisfaction than rural dwellers, despite their higher levels of income, employment and education. Those living in more rural communities have more sense of community belonging, as well as lower housing costs that require a smaller share of their incomes, shorter commuting times, and have lived for longer at the same address. 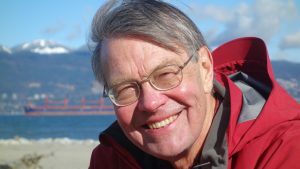 Read the full Q&A with John Helliwell: “The happiest – and least happy – places in Canada.” UBC News, May 24, 2018. 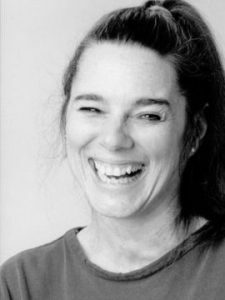 Cathy Burnett teaches movement and dance in the Department of Theatre & Film. The ancient Greeks defined happiness as “the joy that we feel when we’re striving after our potential”. This “touching the face of God” is the equivalent in artist speak to attaining that perfect moment when everything comes together. It is magical. A ballerina in Boston years ago found that moment on stage in a performance and left the stage at the end of the show and never danced again – word has it that she became a nun! And a singer I know experienced this magical moment of perfect happiness and fell to the ground weeping and has stopped singing after spending a lifetime building his career. What is intriguing about the artist’s process of striving for perfection is that the struggle itself becomes the artist’s happiness. Why? Because they are in pursuit of something greater than themselves and so the search becomes another source of happiness as it may lead to magic. It is difficult to be a committed artist, the happiness that we experience through our struggles may be fleeting at best, but the ultimate reward is that magic moment. And at the end of many artists’ lives, they will come to realize that the struggle itself was as fulfilling as the moment of happiness. This is the true gift of the artistic life. 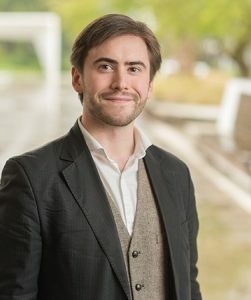 Michael Griffin is interested in the role that philosophy can play in cultivating public citizenship and human flourishing. Maybe everyone feels that way occasionally; at least, a veritable tsunami of popular self-improvement practices (and bumper stickers) try to remind us that we can only depend on ourselves, that “happiness comes from within.” Surely there’s something to this idea, too: we don’t have to go as far as Sartre’s Joseph to see that we need to be our own people to flourish, even to support each other. Greek philosophers were in love with independence, with freedom as a necessary stop on the way to happiness; but they also saw that a true and lasting joy depended deeply on other people, on vulnerability to life. Across the sweep of Plato’s Republic, Socrates argues that the truly happy person—the eudaimōn—thrives precisely because they are just and fair, empathetic, even vulnerable; but choosing to be vulnerable is completely “up to us”, an independent choice that cannot be compelled. Our freedom thrives in relationship, in citizenship; and our citizenship and relationships thrive when we’re most truly free. Arts Insights on the Refugee Crisis: What Role Can We Play? Arts Insights: What does a Trump Presidency mean for Canada?